1 Comment on I will/have changed my site name!!! 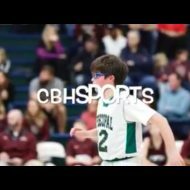 Thank you for who have followed and taken the time to read and positively comment on my posts here at,formerly, cbhsports2.wordpress.com but I have finally decided to for the time beng to change my name to cbhsports for short or carterbhuffsports.com.Thanks again and rest in peace iwstbbacs!! !